This video shows you the steps to install Linux Mint 19.1 Tessa 64-Bit Cinnamon using the VMware Workstation 15.0.4 Pro virtualization program running on Windows 10 PC. Step 2: After installing VMware Workstation 15 in Windows, first visit the following link to install a clean Linux and download the 19.1 ISO file to your computer. Step 3: On the VMware Workstation 15, you must create a virtual machine for the Mint installation. To do this, open the VMware virtualization program and click Create a New Virtual Machine. Step 4: Select the Ubuntu 64-Bit operating system for Linux Mint installation in the virtual machine creation window. Step 5: Configure 4 GB RAM and 25 GB Hard Drive for Linux Mint Virtual Machine. You can also configure 2 processors / 2 cores depending on your computer’s specifications. Step 6: After preparing the virtual machine on VMware, add the ISO file that you downloaded to your computer to the virtual machine. Step 7: Run the virtual machine and start the installation. Step 8: In the boot menu, press the “Start Linux Mint” option. Step 9: After opening Mint on VMware, you can test the system before installation. Step 10: If you want to install Linux Mint 19.1, double click on “Install Linux Mint” DVD icon. 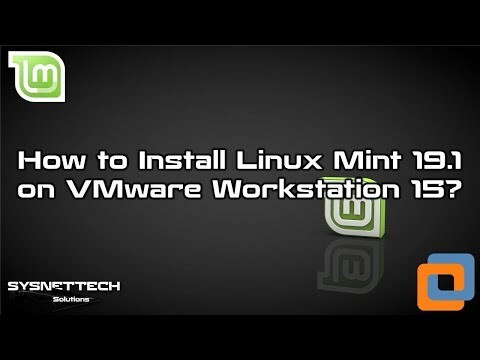 Step 11: Watch the entire video to install Mint on VMware Workstation step by step. This video shows you the steps to setup Linux Mint 19 using the VMware Workstation virtualization program on Windows 10 PC/Laptop. NOTE: You can also install it with VMware Workstation 15.0.4 Pro by following the steps in the video. Step 1: If you have not done VMware installation on Windows 10 before, please refer to the following video or article. Step 2: After installing VM Workstation 14, download the ISO file from the following link. Step 3: To create a new virtual machine on VMware, click Create a New Virtual Machine. Step 4: When creating a virtual machine for Mint 19, select Ubuntu 64-bit in the operating system selection window and specify a minimum 2 GB RAM value for the VM. Step 5: After creating Mint VM, add the downloaded ISO file to the VM. Step 6: Run the VM. 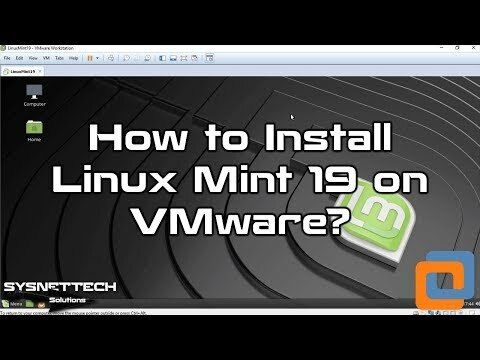 Step 7: Watch the entire video to install Mint 19 on VM Workstation. Step 8: After installing your system, do not forget to install VM Tools! 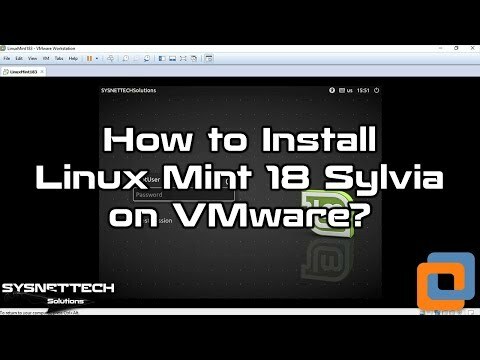 This video shows you the steps to setup Linux Mint 18.3 Sylvia Cinnamon 64 Bit step by step using the VM Workstation 14 virtualization program on Windows 10 operating system. NOTE: You can setup the Mint 18.3 and 19.1 version on VM Workstation 15 Pro by following this video. Step 3: Install VM Workstation 14.1.1 Pro on Windows 10. Step 5: Activate Intel/AMD virtualization feature in the virtual machine. Step 6: Insert the 18.3 ISO file to the virtual machine. Step 7: Watch the Mint installation video.